Coursera近期刚刚推了一门新专项课程：谷歌云平台上基于TensorFlow的高级机器学习专项课程（Advanced Machine Learning with TensorFlow on Google Cloud Platform Specialization)，看起来很不错。这个系列包含5门子课程，涵盖端到端机器学习、生产环境机器学习系统、图像理解、面向时间序列和自然语言处理的序列模型、推荐系统等内容，感兴趣的同学可以关注：Learn Advanced Machine Learning with Google Cloud. Build production-ready machine learning models with TensorFlow on Google Cloud Platform. IBM公司推出的数据科学导论专项课程系列（Introduction to Data Science Specialization），这个系列包括4门子课程，涵盖数据科学简介，面向数据科学的开源工具，数据科学方法论，SQL基础，感兴趣的同学可以关注：Launch your career in Data Science。Data Science skills to prepare for a career or further advanced learning in Data Science. 1) What is Data Science? IBM公司推出的 应用数据科学专项课程系列（Applied Data Science Specialization），这个系列包括4门子课程，涵盖面向数据科学的Python，Python数据可视化，Python数据分析，数据科学应用毕业项目，感兴趣的同学可以关注：Get hands-on skills for a Career in Data Science。Learn Python, analyze and visualize data. Apply your skills to data science and machine learning. 密歇根大学的Python数据科学应用专项课程系列（Applied Data Science with Python），这个系列的目标主要是通过Python编程语言介绍数据科学的相关领域，包括应用统计学，机器学习，信息可视化，文本分析和社交网络分析等知识，并结合一些流行的Python工具包进行讲授，例如pandas, matplotlib, scikit-learn, nltk以及networkx等Python工具。感兴趣的同学可以关注：Gain new insights into your data-Learn to apply data science methods and techniques, and acquire analysis skills. 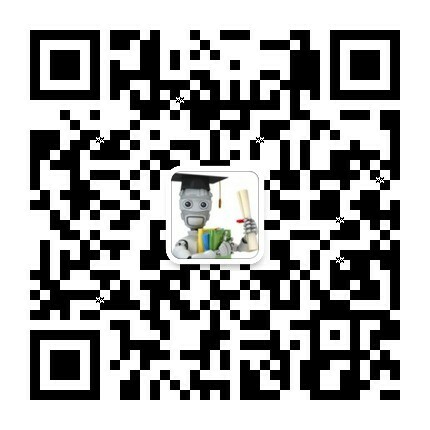 约翰霍普金斯大学的数据科学专项课程系列（Data Science Specialization），这个系列课程有10门子课程，包括数据科学家的工具箱，R语言编程，数据清洗和获取，数据分析初探，可重复研究，统计推断，回归模型，机器学习实践，数据产品开发，数据科学毕业项目，感兴趣的同学可以关注: Launch Your Career in Data Science-A nine-course introduction to data science, developed and taught by leading professors. 华盛顿大学的大规模数据科学专项课程系列（Data Science at Scale ），这个系列包括3门子课程和1个毕业项目课程，包括大规模数据系统和算法，数据分析模型与方法，数据科学结果分析等，感兴趣的同学可以关注: Tackle Real Data Challenges-Master computational, statistical, and informational data science in three courses. IBM公司推出的高级数据科学专项课程系列（Advanced Data Science with IBM Specialization），这个系列包括4门子课程，涵盖数据科学基础，高级机器学习和信号处理，结合深度学习的人工智能应用等，感兴趣的同学可以关注：Expert in DataScience, Machine Learning and AI。Become an IBM-approved Expert in Data Science, Machine Learning and Artificial Intelligence. 伊利诺伊大学香槟分校的数据挖掘专项课程系列（Data Mining Specialization），这个系列包含5门子课程和1个毕业项目课程，涵盖数据可视化，信息检索，文本挖掘与分析，模式发现和聚类分析等，感兴趣的同学可以关注：Data Mining Specialization-Analyze Text, Discover Patterns, Visualize Data. Solve real-world data mining challenges. 数据分析和解读专项课程系列（Data Analysis and Interpretation Specialization），该系列包括5门子课程，分别是数据管理和可视化，数据分析工具，回归模型，机器学习，毕业项目，感兴趣的同学可以关注：Learn Data Science Fundamentals-Drive real world impact with a four-course introduction to data science. 可管理的数据科学专项课程系列（Executive Data Science Specialization），这个系列包含4门子课程和1门毕业项目课程，涵盖数据科学速成，数据科学小组建设，数据分析管理，现实生活中的数据科学等，感兴趣的同学可以关注：Be The Leader Your Data Team Needs-Learn to lead a data science team that generates first-rate analyses in four courses. This course will introduce you to the wonderful world of Python programming! We’ll learn about the essential elements of programming and how to construct basic Python programs. We will cover expressions, variables, functions, logic, and conditionals, which are foundational concepts in computer programming. We will also teach you how to use Python modules, which enable you to benefit from the vast array of functionality that is already a part of the Python language. These concepts and skills will help you to begin to think like a computer programmer and to understand how to go about writing Python programs. By the end of the course, you will be able to write short Python programs that are able to accomplish real, practical tasks. This course is the foundation for building expertise in Python programming. As the first course in a specialization, it provides the necessary building blocks for you to succeed at learning to write more complex Python programs. This course uses Python 3. While many Python programs continue to use Python 2, Python 3 is the future of the Python programming language. This first course will use a Python 3 version of the CodeSkulptor development environment, which is specifically designed to help beginning programmers learn quickly. CodeSkulptor runs within any modern web browser and does not require you to install any software, allowing you to start writing and running small programs immediately. In the later courses in this specialization, we will help you to move to more sophisticated desktop development environments. This course will continue the introduction to Python programming that started with Python Programming Essentials. We’ll learn about different data representations, including strings, lists, and tuples, that form the core of all Python programs. We will also teach you how to access files, which will allow you to store and retrieve data within your programs. These concepts and skills will help you to manipulate data and write more complex Python programs. By the end of the course, you will be able to write Python programs that can manipulate data stored in files. This will extend your Python programming expertise, enabling you to write a wide range of scripts using Python This course uses Python 3. While most Python programs continue to use Python 2, Python 3 is the future of the Python programming language. This course introduces basic desktop Python development environments, allowing you to run Python programs directly on your computer. This choice enables a smooth transition from online development environments. This course will continue the introduction to Python programming that started with Python Programming Essentials and Python Data Representations. We’ll learn about reading, storing, and processing tabular data, which are common tasks. We will also teach you about CSV files and Python’s support for reading and writing them. CSV files are a generic, plain text file format that allows you to exchange tabular data between different programs. These concepts and skills will help you to further extend your Python programming knowledge and allow you to process more complex data. By the end of the course, you will be comfortable working with tabular data in Python. This will extend your Python programming expertise, enabling you to write a wider range of scripts using Python. This course uses Python 3. While most Python programs continue to use Python 2, Python 3 is the future of the Python programming language. This course uses basic desktop Python development environments, allowing you to run Python programs directly on your computer. This two-part course is designed to help students with very little or no computing background learn the basics of building simple interactive applications. Our language of choice, Python, is an easy-to learn, high-level computer language that is used in many of the computational courses offered on Coursera. To make learning Python easy, we have developed a new browser-based programming environment that makes developing interactive applications in Python simple. These applications will involve windows whose contents are graphical and respond to buttons, the keyboard and the mouse. In part 1 of this course, we will introduce the basic elements of programming (such as expressions, conditionals, and functions) and then use these elements to create simple interactive applications such as a digital stopwatch. Part 1 of this class will culminate in building a version of the classic arcade game “Pong”. This two-part course is designed to help students with very little or no computing background learn the basics of building simple interactive applications. Our language of choice, Python, is an easy-to learn, high-level computer language that is used in many of the computational courses offered on Coursera. To make learning Python easy, we have developed a new browser-based programming environment that makes developing interactive applications in Python simple. These applications will involve windows whose contents are graphical and respond to buttons, the keyboard and the mouse. In part 2 of this course, we will introduce more elements of programming (such as list, dictionaries, and loops) and then use these elements to create games such as Blackjack. Part 1 of this class will culminate in building a version of the classic arcade game “Asteroids”. Upon completing this course, you will be able to write small, but interesting Python programs. The next course in the specialization will begin to introduce a more principled approach to writing programs and solving computational problems that will allow you to write larger and more complex programs. This two-part course builds upon the programming skills that you learned in our Introduction to Interactive Programming in Python course. We will augment those skills with both important programming practices and critical mathematical problem solving skills. These skills underlie larger scale computational problem solving and programming. The main focus of the class will be programming weekly mini-projects in Python that build upon the mathematical and programming principles that are taught in the class. To keep the class fun and engaging, many of the projects will involve working with strategy-based games. In part 1 of this course, the programming aspect of the class will focus on coding standards and testing. The mathematical portion of the class will focus on probability, combinatorics, and counting with an eye towards practical applications of these concepts in Computer Science. Recommended Background – Students should be comfortable writing small (100+ line) programs in Python using constructs such as lists, dictionaries and classes and also have a high-school math background that includes algebra and pre-calculus. Experienced Computer Scientists analyze and solve computational problems at a level of abstraction that is beyond that of any particular programming language. This two-part course builds on the principles that you learned in our Principles of Computing course and is designed to train students in the mathematical concepts and process of “Algorithmic Thinking”, allowing them to build simpler, more efficient solutions to real-world computational problems. In part 1 of this course, we will study the notion of algorithmic efficiency and consider its application to several problems from graph theory. As the central part of the course, students will implement several important graph algorithms in Python and then use these algorithms to analyze two large real-world data sets. The main focus of these tasks is to understand interaction between the algorithms and the structure of the data sets being analyzed by these algorithms. Recommended Background – Students should be comfortable writing intermediate size (300+ line) programs in Python and have a basic understanding of searching, sorting, and recursion. Students should also have a solid math background that includes algebra, pre-calculus and a familiarity with the math concepts covered in “Principles of Computing”. Experienced Computer Scientists analyze and solve computational problems at a level of abstraction that is beyond that of any particular programming language. This two-part class is designed to train students in the mathematical concepts and process of “Algorithmic Thinking”, allowing them to build simpler, more efficient solutions to computational problems. In part 2 of this course, we will study advanced algorithmic techniques such as divide-and-conquer and dynamic programming. As the central part of the course, students will implement several algorithms in Python that incorporate these techniques and then use these algorithms to analyze two large real-world data sets. The main focus of these tasks is to understand interaction between the algorithms and the structure of the data sets being analyzed by these algorithms. Once students have completed this class, they will have both the mathematical and programming skills to analyze, design, and program solutions to a wide range of computational problems. While this class will use Python as its vehicle of choice to practice Algorithmic Thinking, the concepts that you will learn in this class transcend any particular programming language. While most specializations on Coursera conclude with a project-based course, students in the “Fundamentals of Computing” specialization have completed more than 20+ projects during the first six courses of the specialization. Given that much of the material in these courses is reused from session to session, our goal in this capstone class is to provide a conclusion to the specialization that allows each student an opportunity to demonstrate their individual mastery of the material in the specialization. With this objective in mind, the focus in this Capstone class will be an exam whose questions are updated periodically. This approach is designed to help insure that each student is solving the exam problems on his/her own without outside help. For students that have done their own work, we do not anticipate that the exam will be particularly hard. However, those students who have relied too heavily on outside help in previous classes may have a difficult time. We believe that this approach will increase the value of the Certificate for this specialization. Extend the Coursera Downloader by downloading quizzes and assignments (and hopefully forum posts soon!). Uses coursera-dl in the process.